The International Summer Academy (ISA) is well underway and continues through most of the summer. Please check out the fabulous offerings week by week for ages 3 through 16 on the ISA Website. Enjoy the photos below and see what's been happening so far. Thanks Ms. Helen and Ms. Barbara for getting together some fabulous offerings! Discovery campers, ages 8 to 14, enjoyed making a variety of foods from different cultures around the globe. 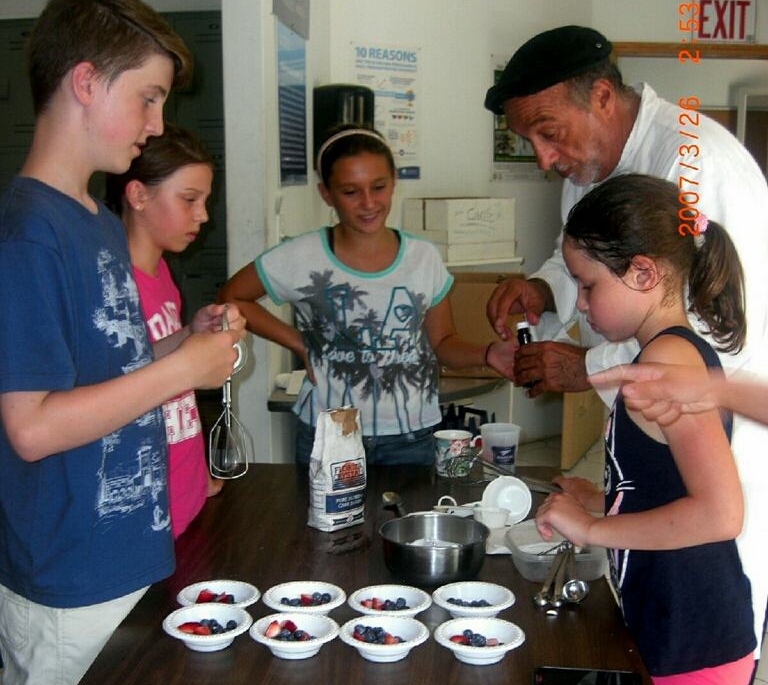 Tony Romano, who is a world renowned chef, was a guest at the camp and worked with the students to make pasta pomodoro, pasta ali-olio, caprese salad, blueberries with chantilly sauce - yum! Imagination campers, ages 3 and 4, along with the Adventure campers created beautiful chalk murals under the Solar Awning, then headed up to the Pirate Ship for some good outdoor play - Aargh, Matey! 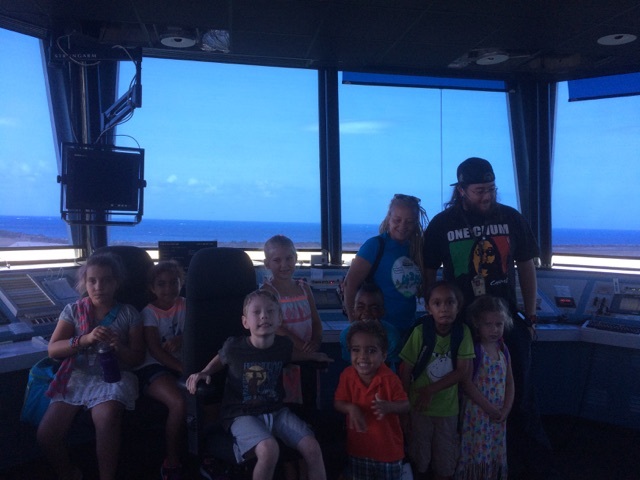 Adventure campers, ages 5-7, visited the Aviation Control Tower at Cyril King International Airport, and later enjoyed a nature walk at UVI.